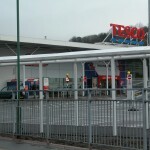 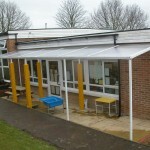 As sites expand, buildings often become detached from each other which cause problems in bad weather for people having to move between buildings. 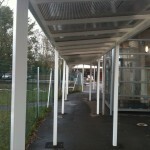 The solution is to link these buildings by way of covered walkways. 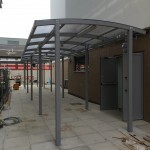 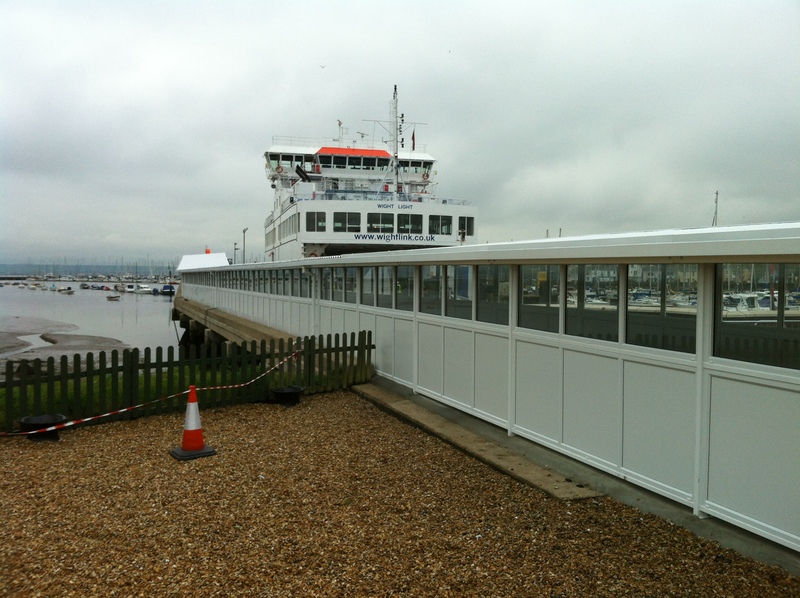 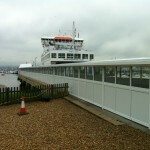 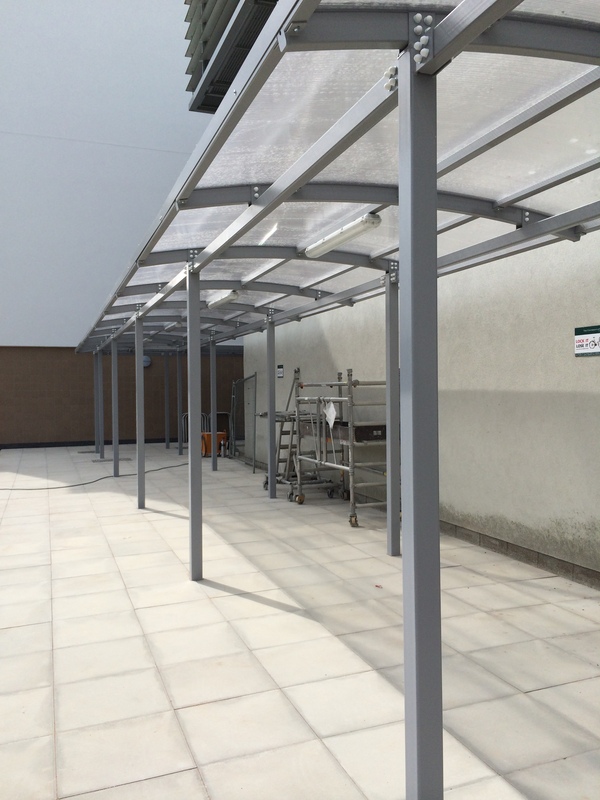 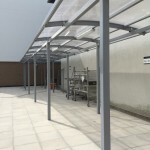 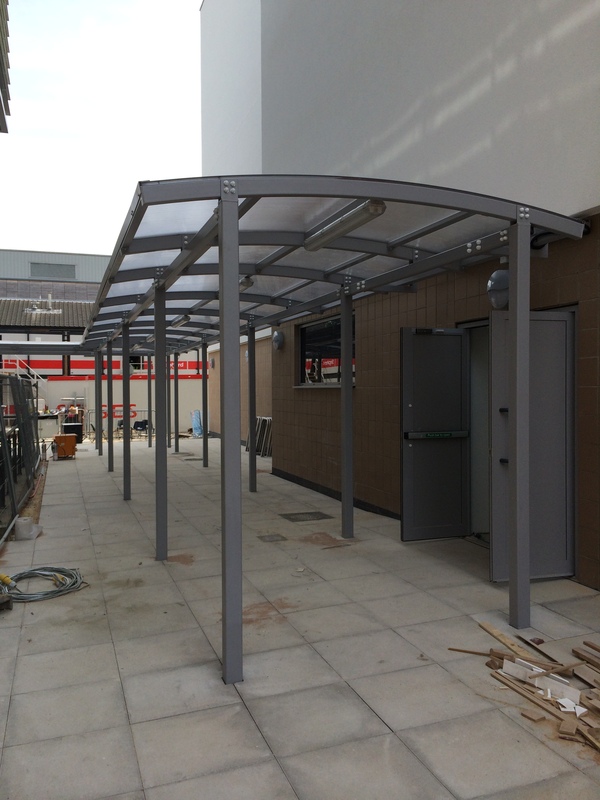 However complex your site, Lockit-Safe can design a custom made covered walkway that will integrate the buildings on the site and ensure weather protection for people as they go from one building to another. 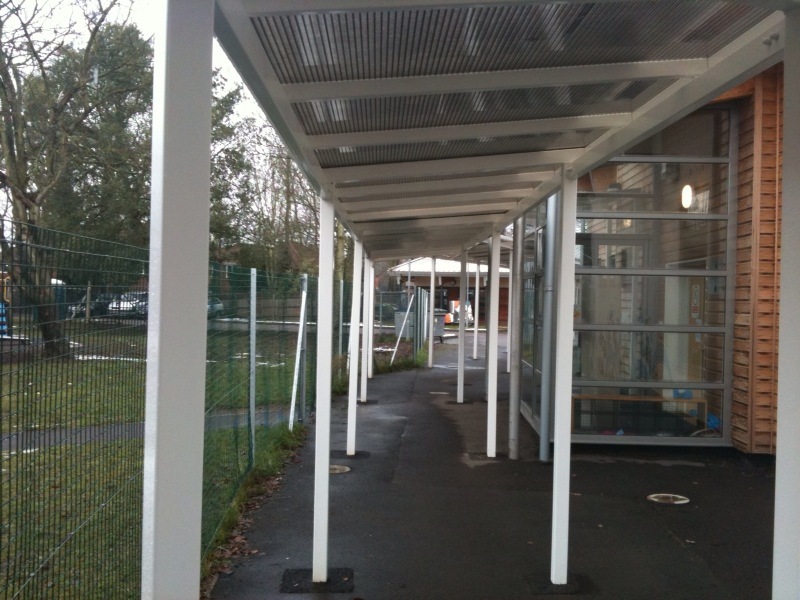 This is a problem faced by many expanding organisations, especially schools as they add new buildings and require pupils and teachers to move efficiently and quickly between buildings. 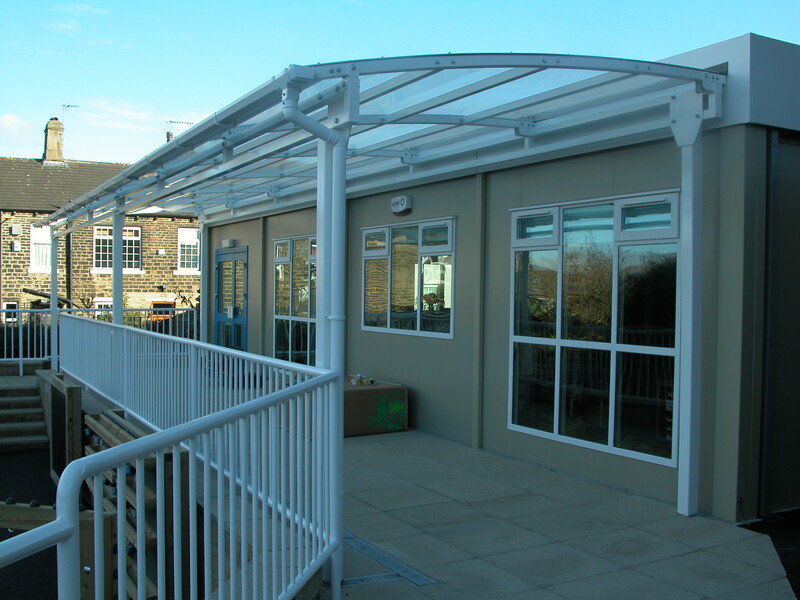 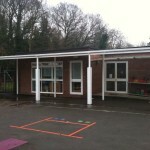 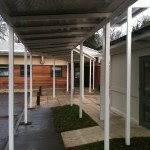 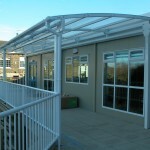 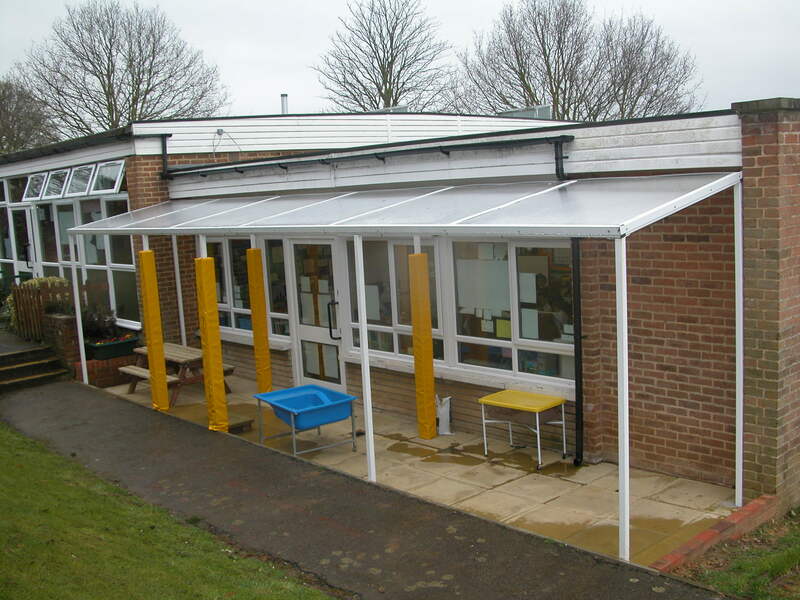 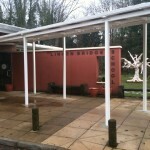 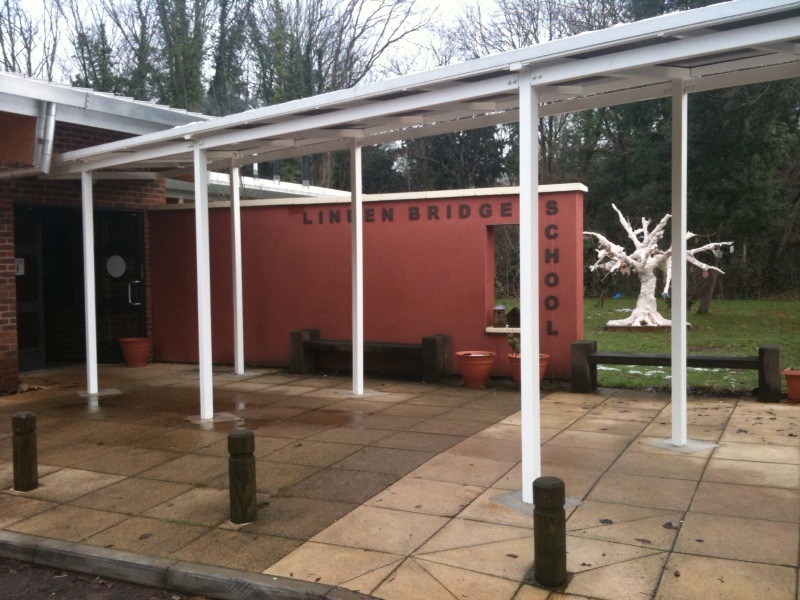 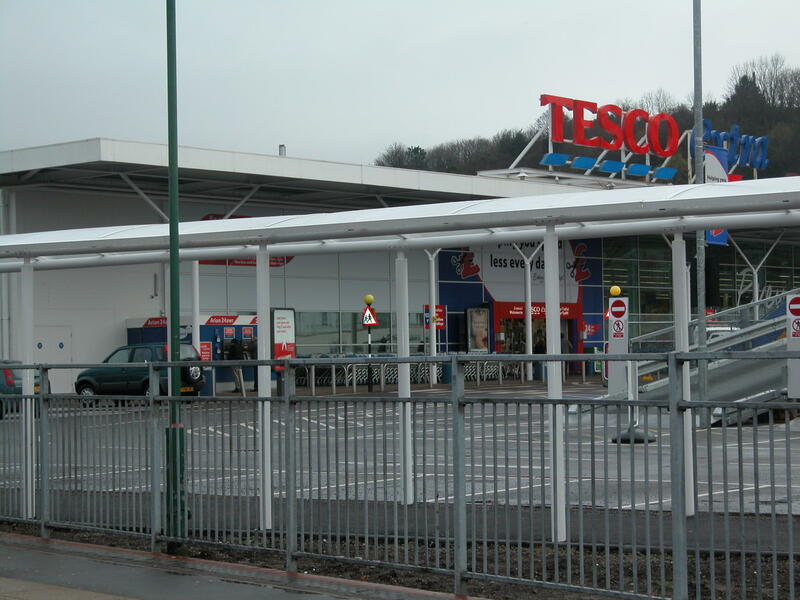 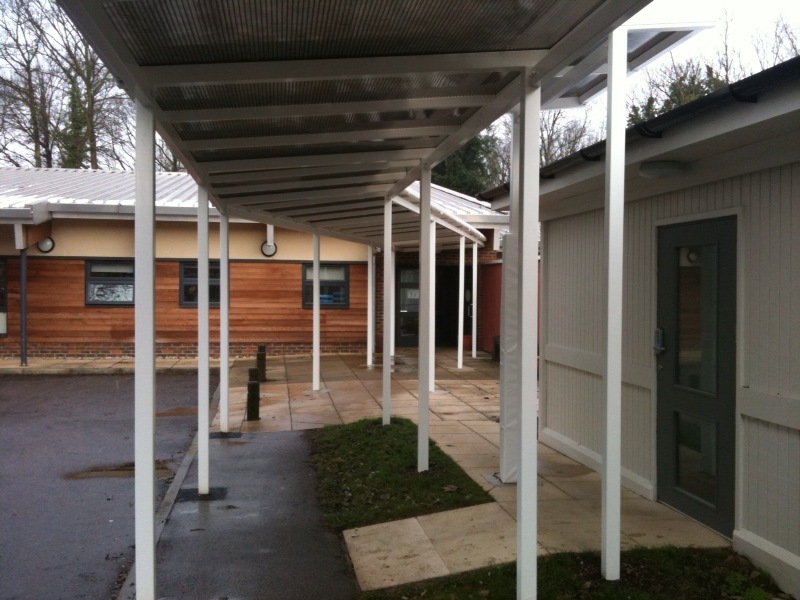 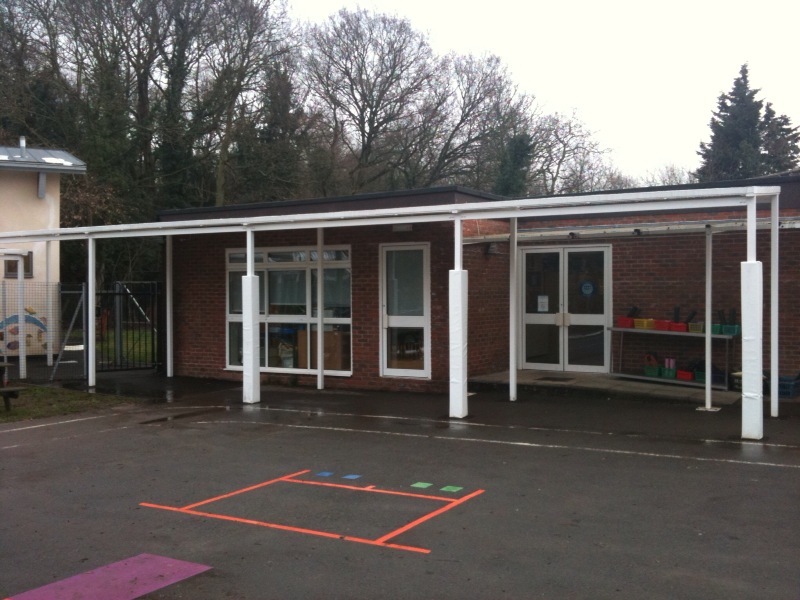 All our covered walkways can be made from a variety of materials, cladding and finishes and include features such as integrated guttering and drainage and post protectors. 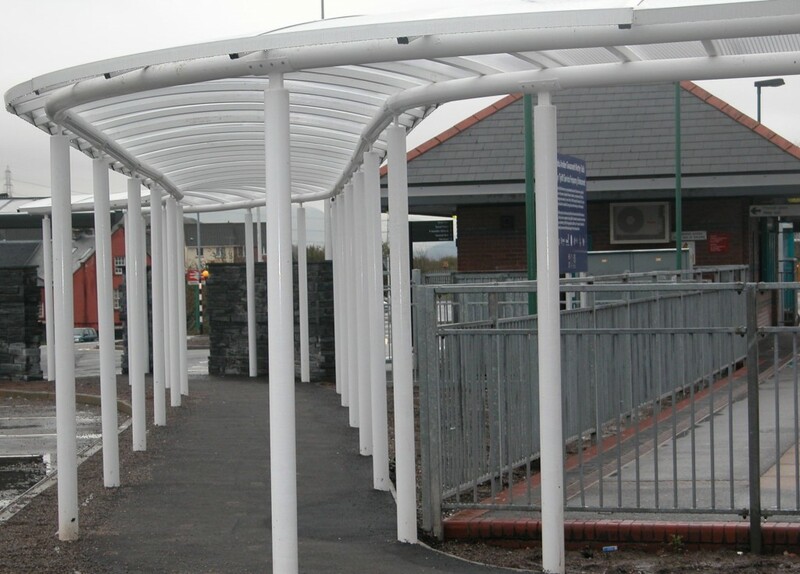 We can polyester powder coat the galvanised steel frame to match any RAL colour so the walkway can fully integrated with the building and any branding or corporate colours.